"The Hunted" is classic comic book fun. Nick Spencer is making tie-ins worth your time again. We’re well into “The Hunted” now with AMAZING SPIDER-MAN #19 and Nick Spencer is just getting started. Spider-Man is in way over his head, trapped in a Central Park cage with all the animal-based super villains from all over the world. On the outside, Kraven Jr. voices his disapproval of his father’s plan while MJ is being watched by the mysterious new villain. Amazing Spider-Man #18.HU showed us the heartbreaking demise of Gibson thanks to a betrayal by Vulture. 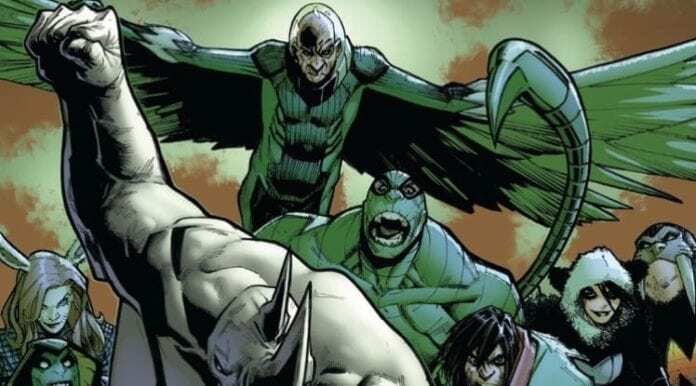 This issue we see the crooked, winged senior spin that story in a more heroic way to gain the favor of a collection of villains he intends to lead against their captors. Of course Vulture is eventually going to betray everyone to benefit himself, but it’s going to be a wonderful ride getting there. 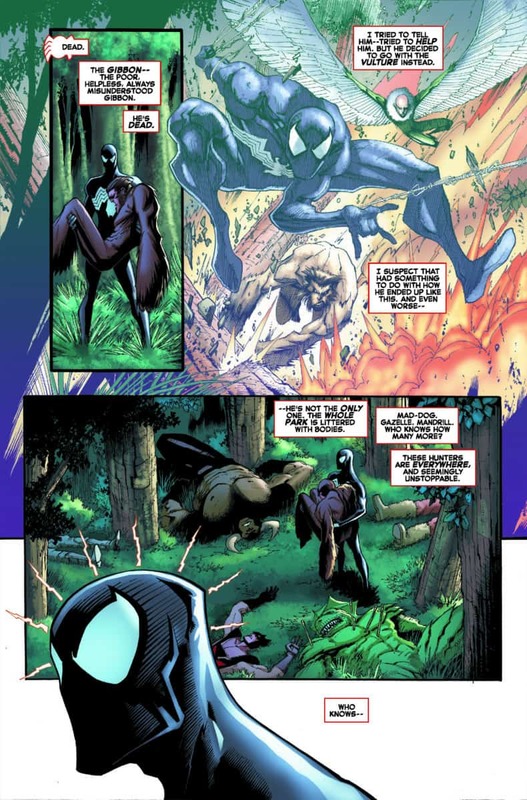 Adrian Toomes is an all-time great Spidey villain, it’s satisfying to see him used in a way that is both effective and not overly-dramatic; also without making major changes to him. “The Hunted” has been moving along smoothly, the tie-in issues have actually mattered and added more color to this story by shedding light on what’s happening in the shadowy corners. Writer Nick Spencer has utilized the tie-in issues in the way they should be, to further the story and provide a payoff for every reader willing to dish out the extra money. When Taskmaster shows up to deliver Lizard, we immediately want to see how he ended up captured along with everyone else. Perhaps he’s here on purpose to find his son? We’re already so invested in the Conners family, the next .HU issue will likely be worth our time. Spencer has been telling this story without leaning too heavily on Spidey himself. Most of the action and drama happens without webs even being spun. 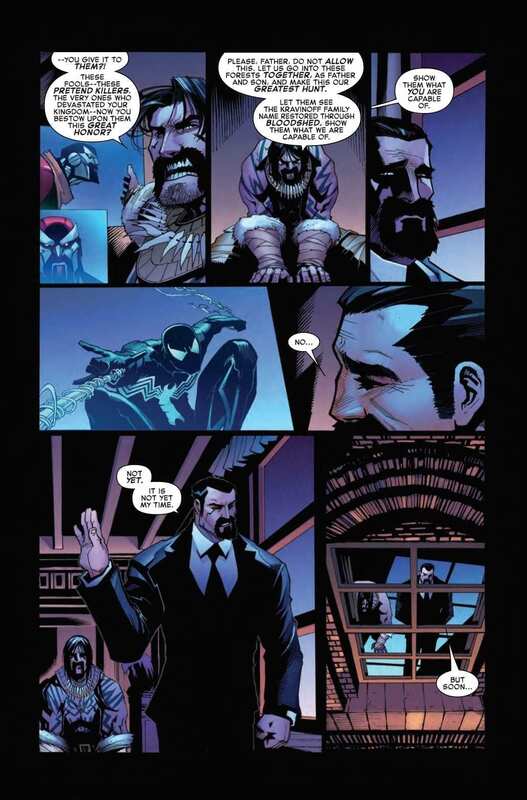 The dynamic between Kraven and his clone son continues to develop in an interesting way. If anyone is going to remind Kraven of who he is and what he’s truly driven by, it’ll be a clone of him in his prime that’s desperate to prove his worthiness. The great hunter’s true motivations and plan are still very much shrouded in mystery, further adding to the suspense in seeing how this one shakes out. Spider-Man is basically along for the ride with the reader. He hasn’t quite figured it out and is one step behind everyone else it seems as he just tries to keep more people from dying. Peter dropping in on the villains gathered to try and convince them that Vulture is full of sh*t is a Spencer moment we’ve come to expect; it’s enjoyable as always. Now that Black Ant has been betrayed by his partner in crime and joining the rest of the animal kingdom, we might be getting the inside scoop on what’s really going on. As sad as it is to see Black Ant and Taskmaster’s bromance come to an end, him taking a more important role in this story could be great news. Nick Spencer always makes a character like Black Ant into something so much more than ever before. Amazing Spider-Man #19 sees Gerardo Sandoval step in on pencils, he proves to be a great choice with a similar style to Ryan Ottley. Sandoval is like a hybrid of the series’ two main artists Ottley and Humberto Ramos, but with a much sharper edge when it comes to the details of darker characters. Edgar Delgado and Erick Arciniega provide great color, bringing to life this massive collection of animal-based characters. Billy’s fear, Kraven Jr’s doubt, Kraven Sr’s anxiety all take shape in the shading and color. 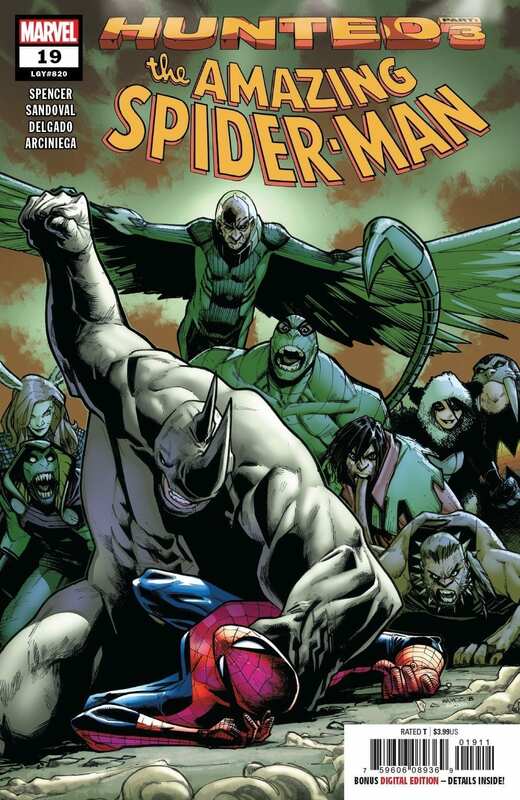 Amazing Spider-Man #19 is another solid chapter of what is turning out to be the great Spidey story we were hoping for. There’s clearly so much more ahead, but even in the quieter moments of this story it’s highly entertaining. “The Hunted” is classic comic book fun for anyone who’s ever enjoyed the web-slinger or his colorful gallery of rogues.